> Natural: Simple without any particular decoration and 5 pair of jingles. The sound is clear, the jingles have space to breeze and express themselves. 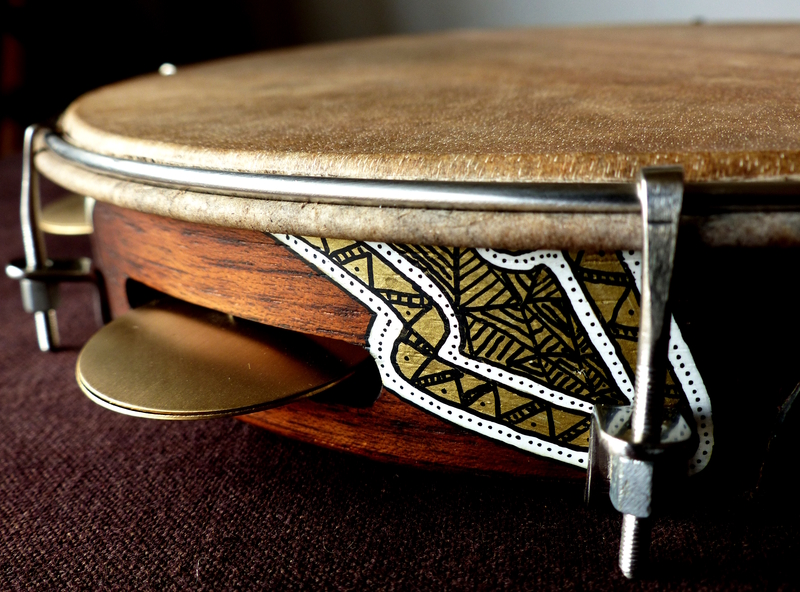 > Maneiro: Decorated with a more complex sound. 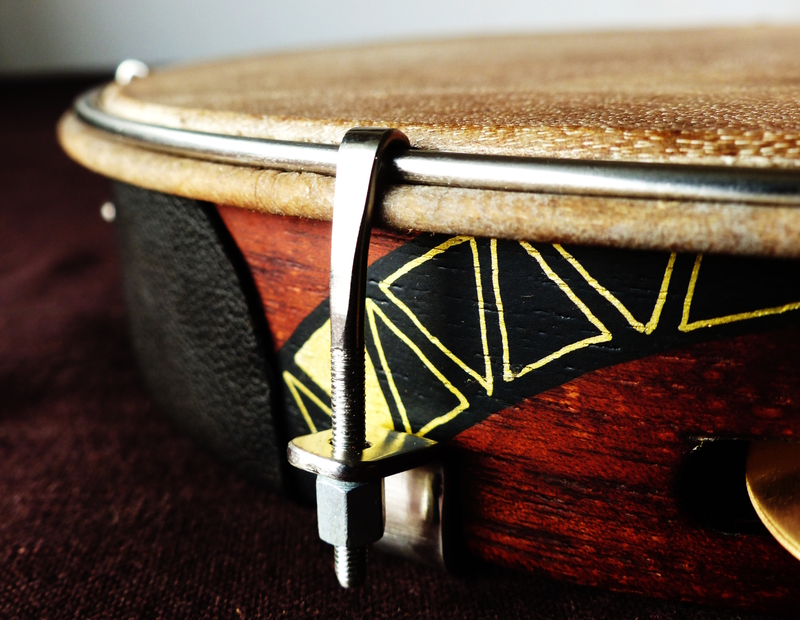 The skin is selected for vibrant sound and the jingles sound is richer as well as more compact. 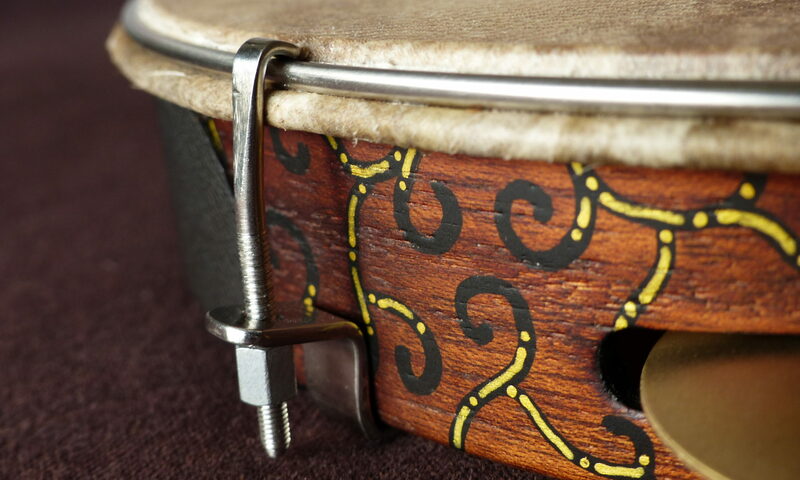 > Especial: From noble wood or elaborated design, those pandeiro are made for those who appreciate complex design, beautiful wood and warm sound. 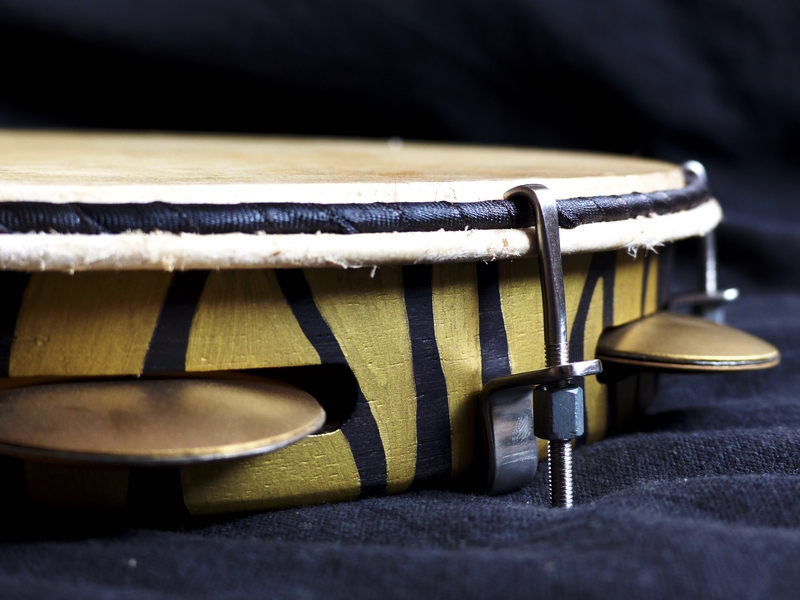 > The skin will hydrate itself naturally every time the instrument is played and doesn’t need any specific care. 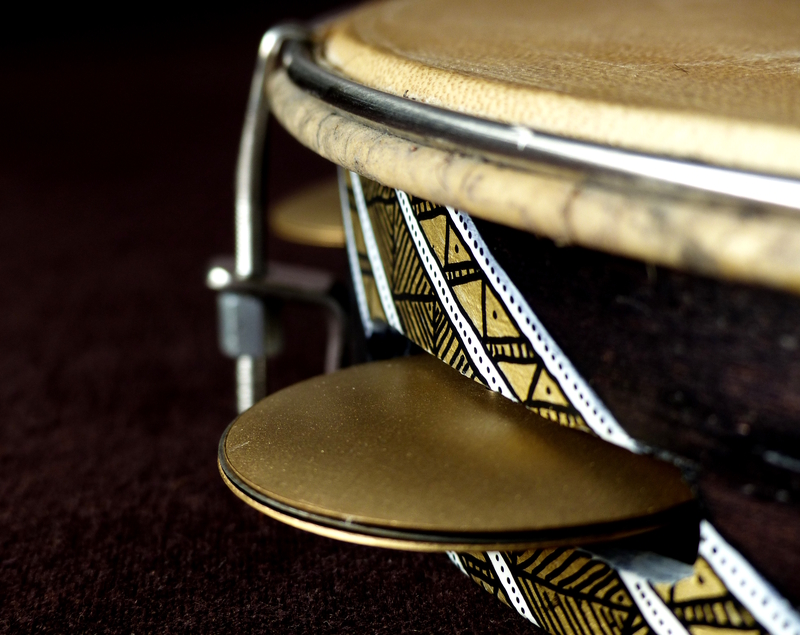 Nevertheless, if you want to nourish it, lightly hydrate your hands with a moisturizer, the skin of the drum will naturally absorb what it needs. > If you travel or do not use the instrument regularly loosen the skin to prevent any damage. 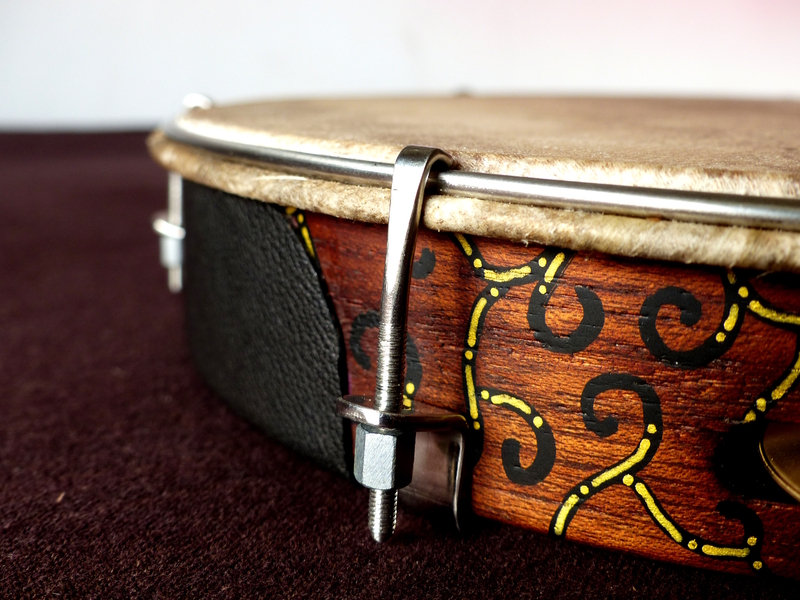 Skin drums need to be tuned so that tension on the skin is evenly spread across its surface. Two techniques exist. For both you will have to slightly adjust each screw and each time check the tuning as well as the tension on the skin. The crossed method is usually preferred.